(NEW YORK) — At just barely 13 months old, a baby in Japan has won over hearts around the nation and the world thanks to Instagram and her full head of luxurious locks. Baby Chanco is a pint-size bundle of joy who was born in Kyoto, Japan, with a full head of hair. When she was just four months old, Chanco’s mom Mami Kano posted a photo of her baby on Instagram in front of a bright yellow background with big brown eyes and thick dark hair standing on its ends. “We hope that she is gonna be involved in fashion … particularly like [a] model, where she will be able to deliver attraction or charm of Japan or Japanese culture throughout the world,” her mom told ABC News’ Nightline through a translator. Like any baby diva, Chanco has her fair share of fussy moments, but that didn’t stop the multibillion dollar adult hair care company from deciding to partner with an infant and disrupt Japanese beauty standards. 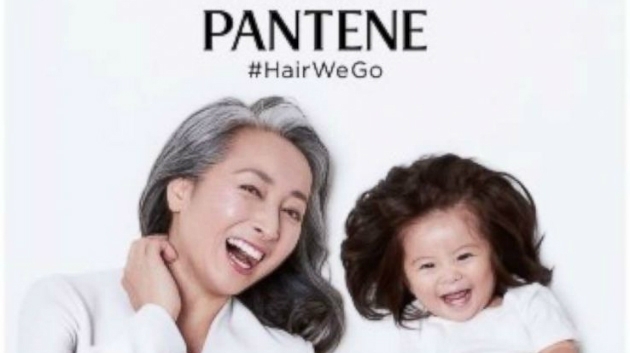 Yoshiaki Okura, a brand director for Pantene, said it was Baby Chanco’s “unique” tresses that stunned them. “When I saw Baby Chanco, I was really surprised. You know, I’ve honestly never seen such kind of baby to have such unique, thick hair,” he said. Young children serve as brand ambassadors for household names like Ralph Lauren, Target and Macy’s. Mothers who manage their kids, also known as “momagers,” have turned child models into major stars — including celebrities like Raven Symone, Cara Delevingne and Gigi Hadid. “It’s a really easy way to see the personality of a child, to see the personality of a family and I think that it just makes searching a lot easier,” she explained. “Instagram has changed things for the good and for the bad,” she said. In her experience, Ohlsson said casting directors don’t necessarily care about a child’s Instagram following. Rather, they are more interested in what they look like in their natural state. Ohlsson said casting directors have only asked her about a child’s Instagram “maybe three times,” and only “once or twice” about follower count. But while “momagers” try to build a following on Instagram, Brandis said finding the next Baby Chanco is like catching lightning in a bottle. “What you’ll find now, I’m sure, in the next few months, there’ll be babies popping up on Instagram with long hair thinking that, ‘Well, my kid has got long hair too, that’s the same thing that’s going to happen.’ And it just doesn’t,” Ohlsson said. “I would say take everything you hear and say with a grain of salt,” she added. Children’s wear is a multibillion dollar industry in the United States, and mothers have been a driving force behind the talent. They handle their child’s day-to-day schedules, balancing school and modeling gigs. “I think that when you’re on social media and you’re looking to become a model that way and somebody approaches you and you’ve not gone through the proper channels, I think you’re more apt to fall prey to that kind of thing,” she explained.